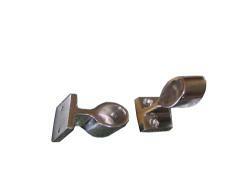 These are Stainless steel rail fittings. For each order you place you will get ONE. 1.25" X 1.5". It is about 2" tall.